Keeping it simple for today. Here’s a graphic that give you ten of my favorite zombie movies. In case image doesn’t come through, here they are in no particular order. PLOT SYNOPSIS: (imdb.com) While a zombie-virus breaks out in South Korea, a couple of passengers struggle to survive on the train from Seoul to Busan. Before I even begin, I’m going to say I loved this movie. A lot. Many horror movie viewers are cynical and jaded. They claim that “they’ve seen it all” and “nothing can scare them now”. That’s all well and good, but once you claim that, where is the fun in watching movies? Movies are escapist creations, much like many fiction books. The point of any given movie is to immerse yourself in the experience, and in a manner of speaking, let the filmmaker have his way with you. As a film viewer of the age that I am at now. (Don’t you love that sentence?) I can easily say, sure, nothing put on film can scare me any more than real life. I have children, a husband, and other loved ones, and believe me, if you asked me to answer truthfully what scares me, it wouldn’t be a random zombie outbreak or a killer stalking teens. Movies are escape. That’s the name of the game. Claiming “nothing scares me” certainly takes the life out of viewing horror, doesn’t it? I haven’t laughed, cried and been scared by one film in a while. That is to say, I’ve laughed at films, I’ve cried over films and I’ve been scared by films, but never all three in the course of an hour and a half. Train to Busan is a zombie film ride I sort of wished wouldn’t end. The setup was great. For those who haven’t seen it, I won’t spoil it, but I was like whoa….this is how this is going to go? I rolled along with the cliched characterization, because, zombies. In addition, the actors did so well, I didn’t care that I’d seen the same character in other movies. Even in the scenes where I KNEW a character was going to do this or that (and there were a few, because, you know, film-watcher of a certain age and all..) but again, I was so caught up in what was going on that I did not care. Grade A: I literally laughed, cried and gasped in fear. Highly recommended. Here’s to watching horror movies in the morning! It’s been a while since my first zombie novel, Loving Among the Dead was released through Loose Id. However, no matter how long ago I’ve written a book, the characters stay with me for quite a while. 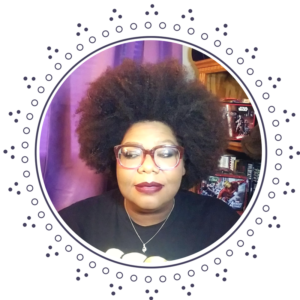 It takes a lot to get into a characters personality- how he or she walks, talks, behaves and reacts in certain situations, and this doesn’t go away very quickly. With that in mind, I started looking through my Google playlists and found a list of songs I used to evoke moods with my two characters, Jude and Sky. A little about the book: Jude is my female lead. When the zombie outbreak happened, she endured a scary journey from Philadelphia, where she was going to graduate school, back to Princeton (or thereabouts) where her parents’ lived. She’s a bit spoiled and a lot privileged, however, her parents were survivalists/hoarders, what have you, and they stocked their home with provisions and food, “just in case”. Though her parents are dead when she finally a makes it back home, she stays in her old boarded up home, the only person left alive in her neighborhood. It’s a lonely, scary existence, to be sure. Then along comes Sky, traveling through solo on his way out of New Jersey to his home state of Tennessee. Before the apocalypse, he’d been a teacher in an urban district, having gone to college on a baseball scholarship. The two meet in the stock room of a drugstore and Jude ends up allowing him to come stay with her. And as one would imagine, having been starved for human contact for many weeks, they cling together. That’s the basic premise. The book continues with the push/pull of the relationship, where Sky wants to keep moving South, whereas Jude believes it’s safer to stay in one place. All that being said, here’s a taste of their soundtrack. Some songs are hers, some are his, and some belong to them both. I’ve included a link to the playlist on YouTube, if you want a listen. Welcome to October, or as I like to call it, thirty days of Halloween Eve! 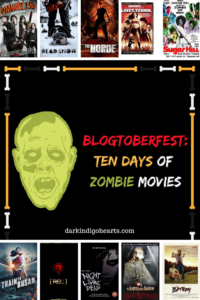 This is one of the first posts of “Blogtoberfest” and it’s also Zombie Awareness Month! So…..are you aware? More importantly, are you prepared? Many people are caught unprepared, no matter what the emergency, whether it be a hurricane, snow storm or zombie apocalypse. This is according to the CDC, which has a page on how to prepare for any emergency event, up to and including a zombie apocalypse. If you don’t believe me, click here. Again, are you prepared to “bug-out” at a moment’s notice? Your Kindle, table or extra-smart phone won’t be of much help when the ravenous, bloody-mouthed hordes of the un-dead start beating at your door. Well, maybe you can throw your device at them, but at the most it’ll only take out one or two. Okay, now you’re all asking, Dahlia, what can I do to prepare for the zombie apocalypse or any other emergency that might occur? Well, I’m glad you asked that. Here’s a list of items that are essential to surviving those first few days of utter confusion when there is no more room in Hell and the dead begin to walk the earth. In addition to having this emergency kit, you should also have an emergency plan for your family. Zombies wait for no one, so mapping the quickest route out of the infected area (and alternate routes) should be of utmost importance. Does your family have a meeting place just in case you are separated? How about an out of state contact that you can either run to or touch base with to ensure members of a family are safe? Remember, the farther away you can get from a hungry zombie, the better. And the more prepared you are for any emergency, the better off you and your family will be. Take the time today because……..
Zombies, oh Zombies. Nazi Zombies. Nazi Zombies who are after their stolen treasure. What could be better? 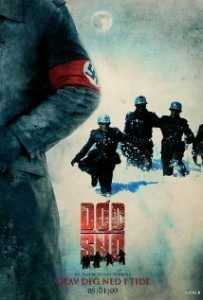 Genre: Horror – Zombies…Nazi Zombies!! How have I not reviewed this movie yet? For goodness sake, I’m slacking off. 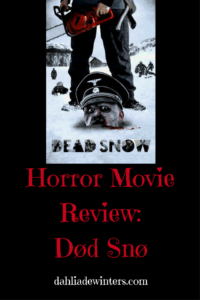 I gave this movie an A. I went into it knowing what I was going to get…a B grade zombie popcorn flick. This movie did not to pretend to be anything more than that. And they succeeded in a grand fashion. First of all, we have the so-called Ice Monster prologue…a scary chase through the woods set to Edvard Grieg’s In the Hall of the Mountain King, which is awesome stuff in and of itself (spoken like a true band geek, lol), but when included in the movie was just…choice. Then we have your motley group of med students on vacation in a cabin that is literally in the middle of nowhere, that is lacking….say it with me now….cell service. What a ride this movie was! It was gross, funny and thoroughly entertaining. I laughed out loud at some parts and covered my eyes at others. I’d totally watch this again…..at nine in the morning, of course. Note: Please, I beg of you, watch it in Norwegian with the English subtitles. The dubbed version is distracting. Plus, you get to hear what the actors’ voices really sound like.